I've already posted this months beauty favourites so I thought I'd crack on with my non beauty favourites! I don't do these posts every month because some months just aren't exciting really! August has been a fun month though and I have lots to talk about so thought I'd write this post, I'm also including a few fashion favourites. Let me know in the comments if you want me to keep on including fashion favourites in my monthly favourites posts! 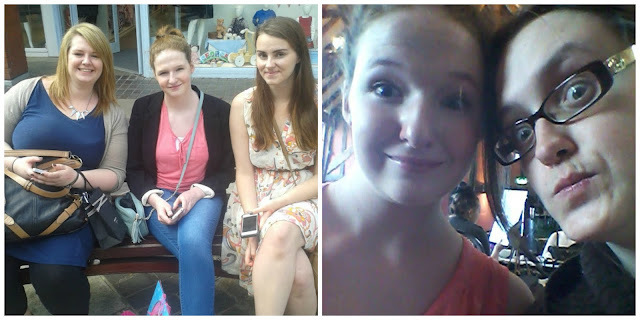 One of my first favourites of August is the day out that I had with Bex, Hannah and Lisa the day before my birthday! We had such a lovely day shopping and having lunch in Wetherspoons. I really enjoyed the day and can't wait to do it again with them! It was definitely a highlight of the month for me! Then on my birthday I went to Southend with my family and had a really nice day, even if one of the rides did make me feel sick! I had a lot of fun and so glad we went as now I won't be going on rollarcoasters until 2015 I should think as when 1 year post op has passed most theme parks will be closed! If you want to see more pictures read my post all about my day here. 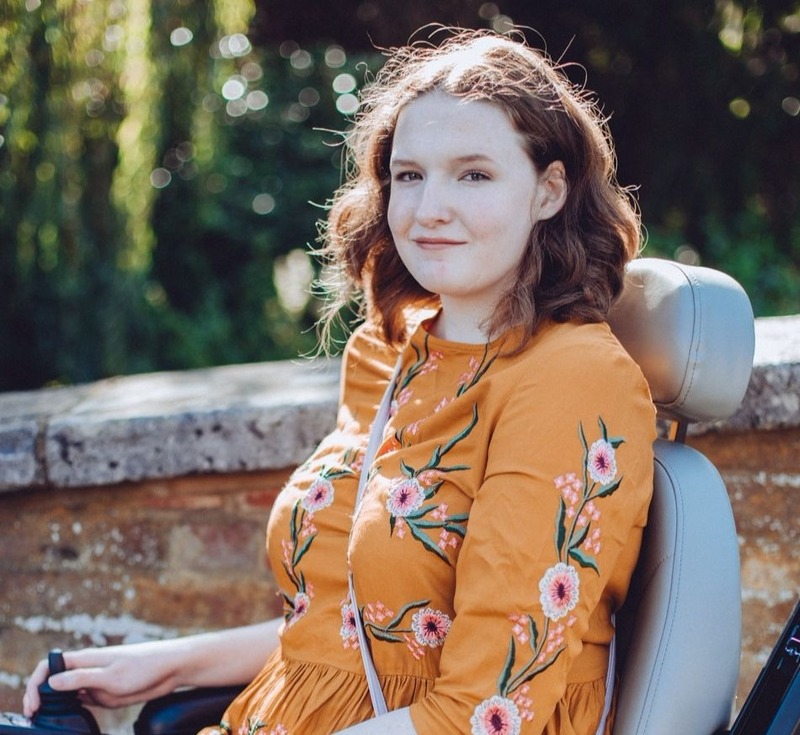 A definite favourite in August was receiving my GCSE results! I was so so nervous about getting them due to how much time I had had off school, I really didn't think I'd do that well! In the end everything worked out fine though and I came out with results that I couldn't be happier with! I'd love to know how you all did, I got 2 A*'s, 3 A's, 5 B's and 1 C! Also the day after I got my results I went shopping with Jayne from whatjloves and had such a nice time! Jayne is such a down to earth person and I really enjoyed spending the day with her! I haven't had this Primark dress for long but I love it so much that I had to mention it! I think it is the perfect autumn dress and I think it suits me really well. I still can't believe it was only £5! I can't wait to wear this with maybe some boots in the Autumn/Winter! Look out for a OOTD coming up soon featuring this! This Primark Butterfly Top has been a favourite of mine in the last week of August as well. For only £4 it is great! I expected it to be see through but it isn't at all. Also it isn't fitted or skin tight but also isn't really loose, the perfect in-between I think. I never really go for bolder prints like this I definitely want to buy more tops like this! 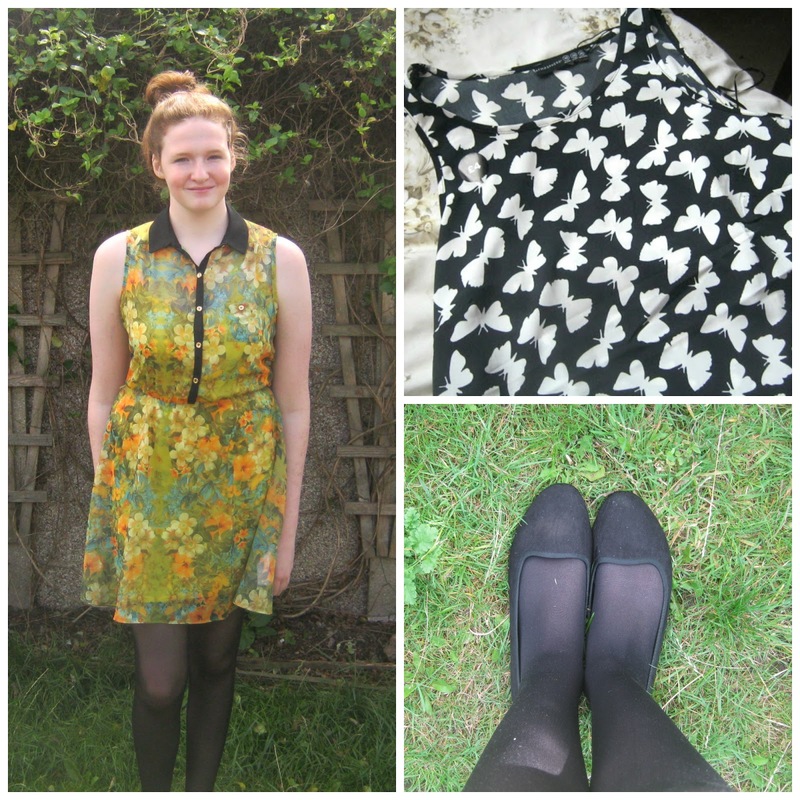 And my last fashion favourite is from Primark also! I'm very behind on the whole slipper style shoes trend but oh well! I really love these, they were only £4 and they are so comfy. I've spent the majority of the month wearing them since I bought them, they are so simple but it makes a big change from wearing converse and van style shoes all the time. Those are all my fashion and lifestyle favourites for this month, make sure to go and check out my August Beauty Favourites! Let me know one lifestyle and one fashion favourite of yours for the month of August in the comments!